MidFirst Bank is partnering with Our Lady Mount Carmel to help raise money! You can help too, by fundraising and donating change now through Apr 6. 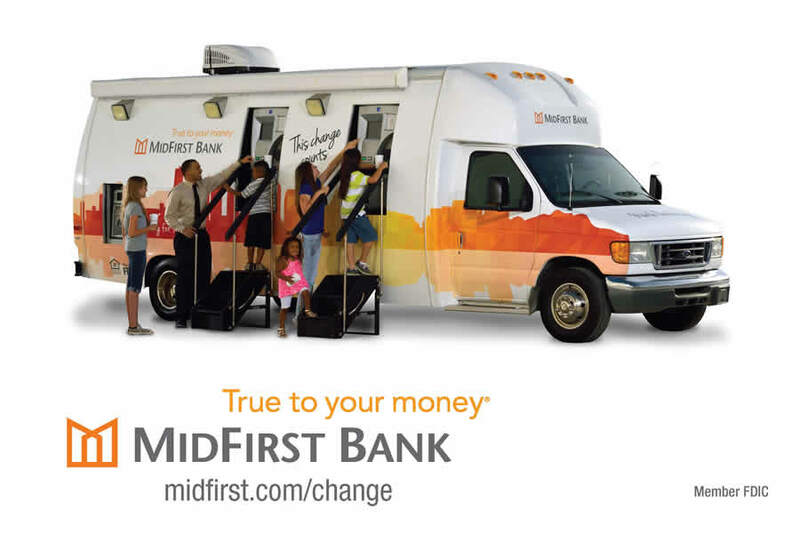 MidFirstBank will match the first $1,000 raised and add $250 if we get to $2,000 in donations.The MidFirst Fundraising Van will be on site at the Festival Sat, April 6. All coins will be counted at this time. All classrooms have a change jar to collect your loose change. We would like to surpass last year’s total of $2,500. hank you MidFirst Bank for your support! The signup genius for mandatory festival hours closes at midnight, Mar 13. After that time, please make any necessary modifications to your assigned festival hours with our volunteer coordinator, Ashley Hall. On Thu, Apr 4, teachers will dismiss their classes at 12:30pm to make way for festival setup. There is also no school on Fri, Apr 5. If you have any questions or concerns, please contact the front office.